WALLA WALLA – Young homeless adults and a charity that provides items to low-income families recently received more than $7,000 in new furniture, thanks to inmate work efforts at the Washington State Penitentiary. 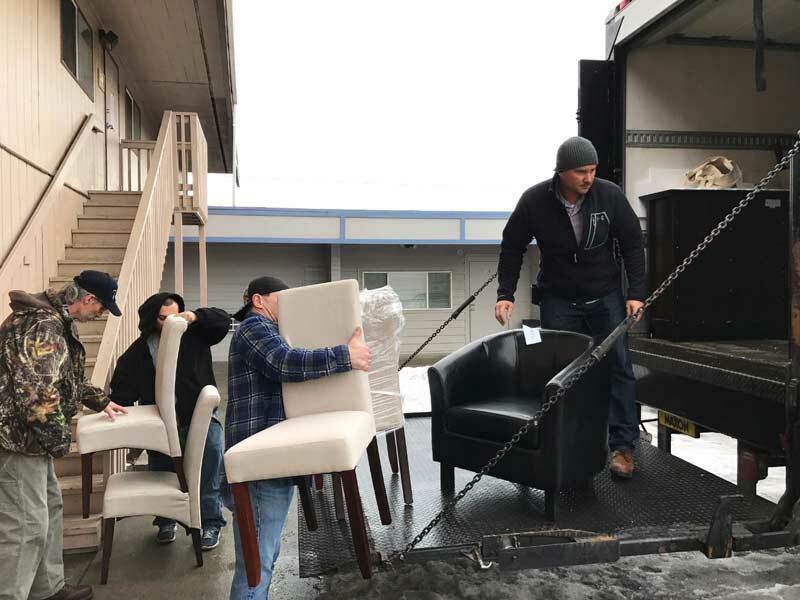 Incarcerated men who work in the prison's Sustainable Practices Lab (SPL) recently refurbished furniture donated to the facility from international furniture retailer Simpli Home and distributed it to two Kennewick charities. Types of furniture refurbished by the workers included tables, chairs, ottomans, and bookcases. 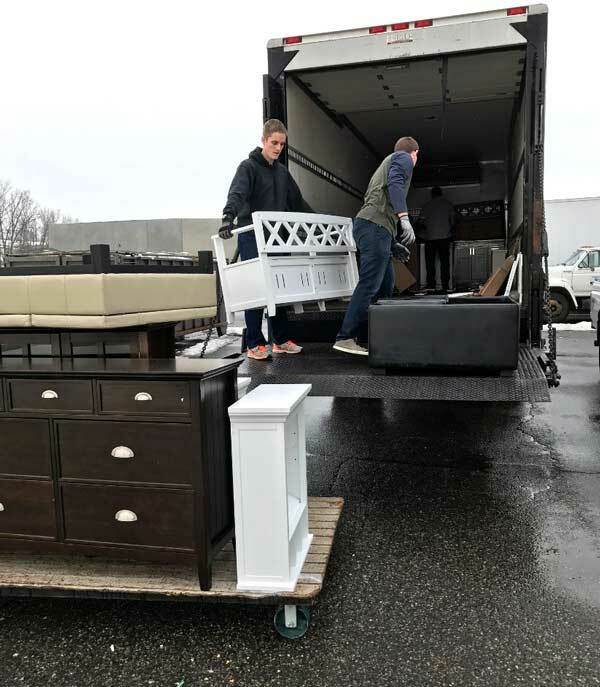 Inmates filled a truck with furniture on Feb. 16, and Washington State Penitentiary staff delivered it to A New Start In Life and Habitat For Humanity ReStore program. A New Start in Life is a residential program for young adults between 18 and 24 who are homeless or at risk for homelessness. Staff provide residents with supportive services and independent living skills to help them transition to permanent housing. Habitat For Humanity ReStore sells new and gently used furniture to the public at a lower cost than the average retailer. Proceeds support other charitable programs in the community. "The inmates love seeing their work really benefit those in need," said Robert Branscum, a corrections specialist at the penitentiary. "For many of them, this is a chance to experience a scale of giving they never imagined before." The SPL runs 18 programs at the penitentiary, including bike and furniture restoration, cultivating native plants, and worm composting. The SPL gives participating individuals the opportunity to grow and expand their skills and abilities while benefiting the community. Additionally, the SPL increases facility safety by reducing inmate idleness. Simpli Home fills millions of furniture orders around the world. Occassionally, items get damaged, pieces are lost in transit, or simply returned. The result is an excess of items that the company would have to get sorted, repaired, or pieced together from multiple furniture kits. Simpli Home approached the penitentiary's SPL to see if it could use these items to support local charities. 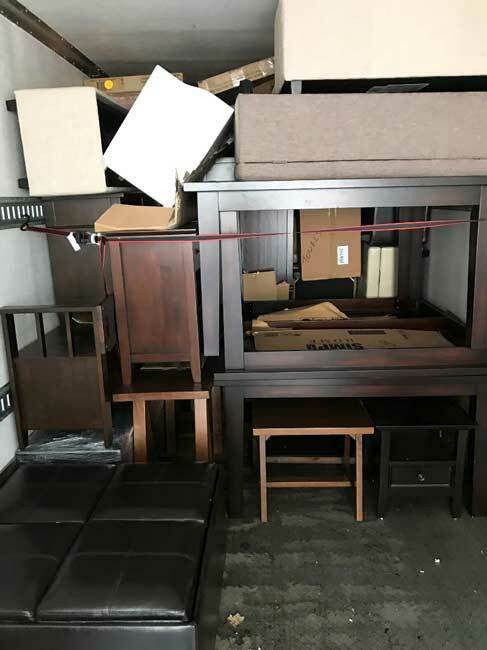 Branscum and Corrections Specialist Chris McGill assembled a crew of inmates from the SPL to transform the truckloads of mish-mashed furniture parts and convert them into like-new, high-quality furnishings. Prison officials say the donation is a great illustration of the work the sustainability practices lab does to repurpose items that otherwise would have been taken to landfills. "This is a shining example of the Sustainable Practices Lab's impact both within the penitentiary and beyond its walls," Branscum said.